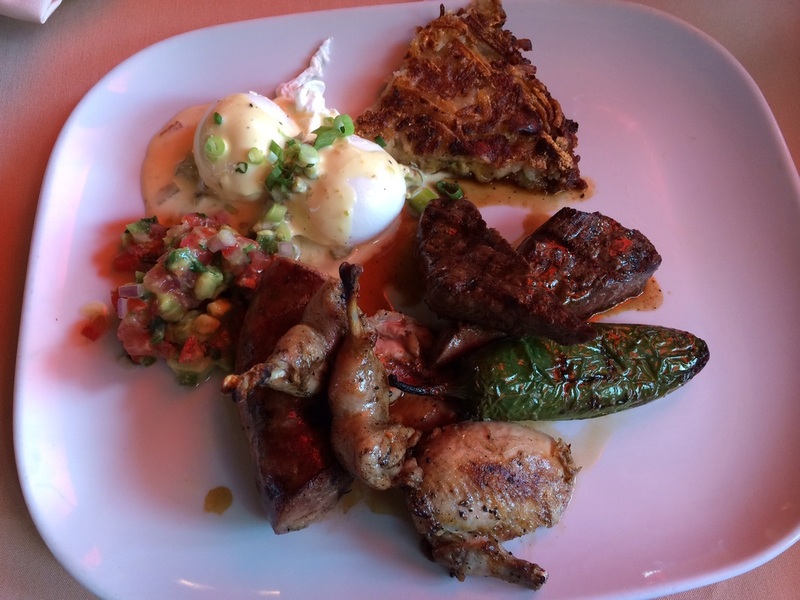 Chef Mario Valdez graduated from the Le Cordon Bleu and interned at the Mocking Bird Grill. Find complete interviews with him at the bottom of this page. 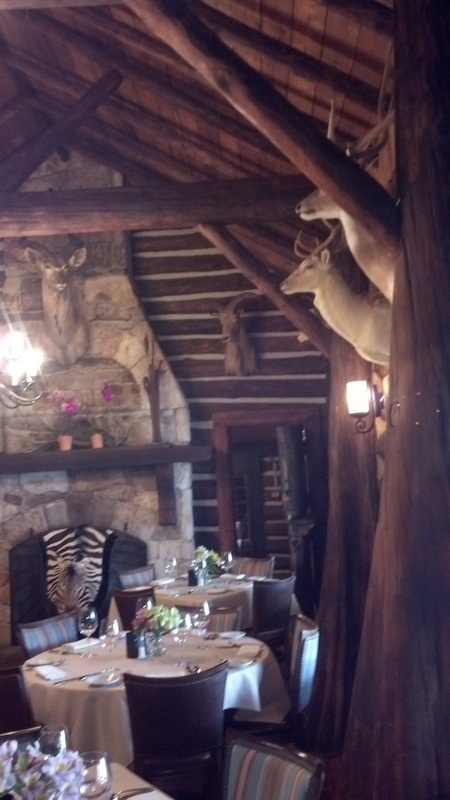 This is a quiet little lodge over a verdant bayou that focuses on southern cuisine, with a unique twist - perfection in exotic game and fowl. We were impressed with the service and purity of ingredients. This showing is from their Sunday Brunch, which is a wonderful event in itself but Chef Valdez often showcases his imaginary skills and authentic expertise with his specials. These dishes presented below need little comment. Also to note, the waitstaff is very knowledgeable and steadfast in replenishing the .99c Mimosas/Sparkling wines. They also welcome patrons to spend as much time enjoying their ambiance and outdoor location as needed. As is proper, they first bring an assortment of fine breads and jams. 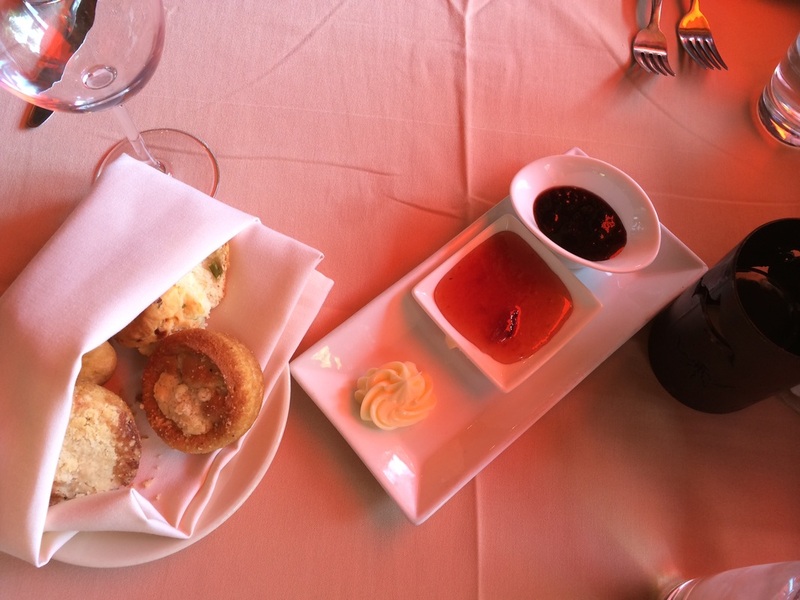 On this day we experienced a Cassis jam, apricot jam, and hand spun butter. The pastries are made in house and wet the appetite. Texas Quail is absolutely succulent! Texas Quail is traditionally hunted naturally and the flavors of this tradition are not missed. Wild Boar sausage is supple in flavor and texture, and the Pablano pepper doesn't burn but adds an additional element to the plate. Rounding it out are poached eggs, which softens any spice from the Pablano for those not accustomed to southern Texas cuisine. Also presented are hash browns, Pico de Gallo, and wild boar tri tip. 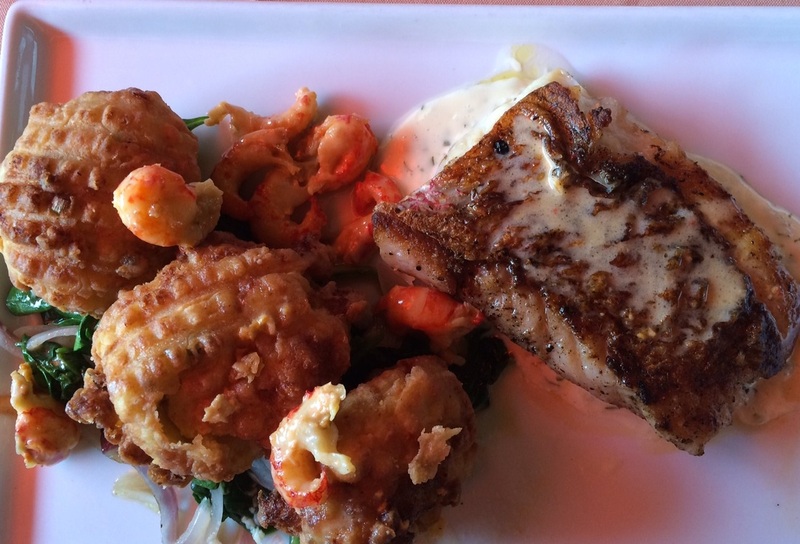 Houston loves and excels in fresh gulf seafood. Chef Valdez understands this and uses the freshest available. 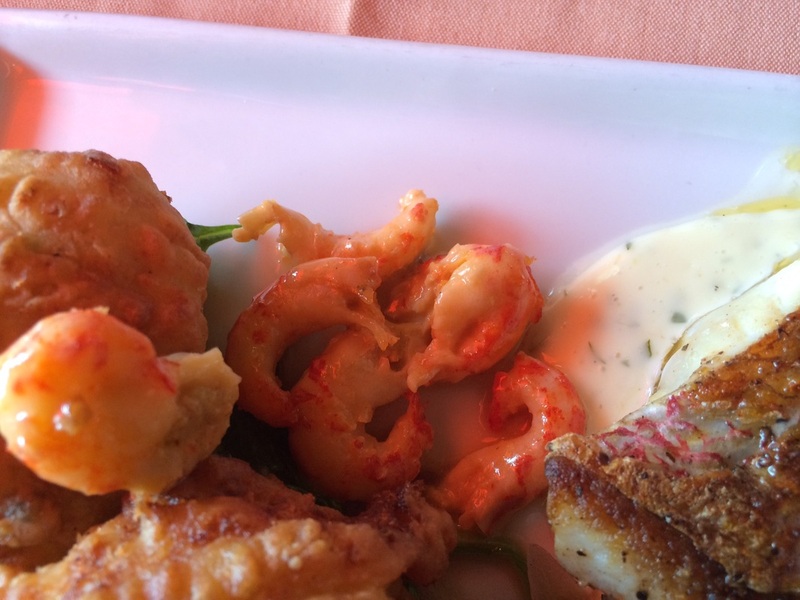 Gulf Red Snapper is a local delicacy and when paired with Crawfish fritters and a supple dill beurre blanc sauce, heavenly magic occurs. It is dishes like this that make Houstonians love living here. 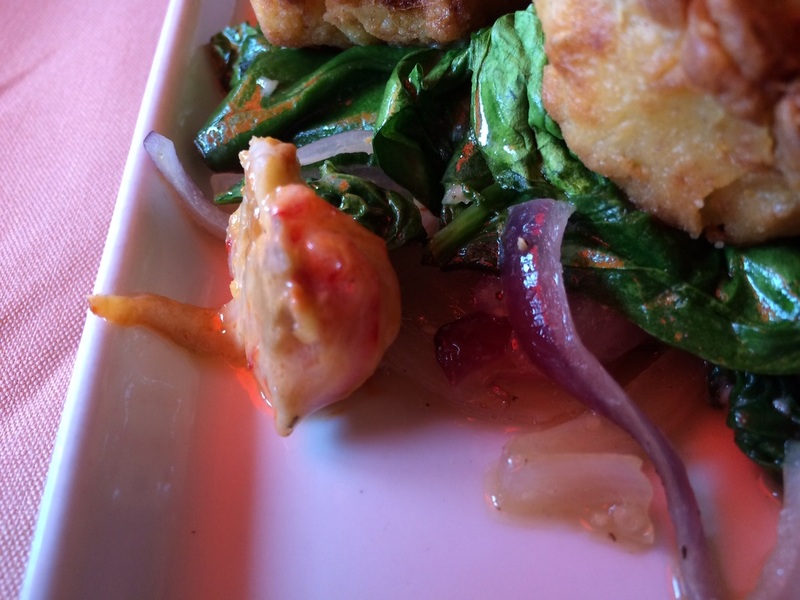 Items laid over a bed of fresh spinach and red onions. 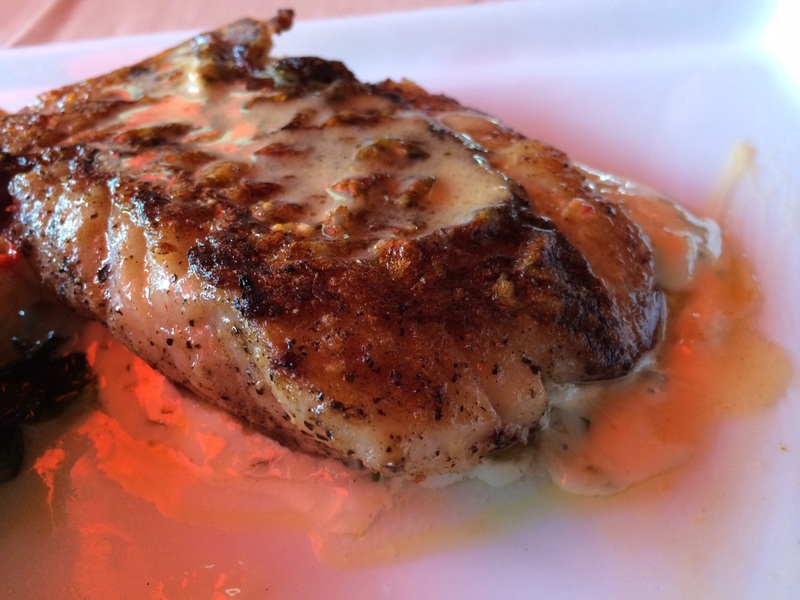 The Gulf Red Snapper was cooked to perfection. This took us to another level of consciousness and the spices improved the freshness and natural ability of the fish rather than creating the flavor. Crawfish is a part of the Texas cuisine culture, it is not shrimp and holds its own unique profile. These Crawfish created the flavor profile for the fritters, which had more of these large, succulent gifts from the heavens inside. 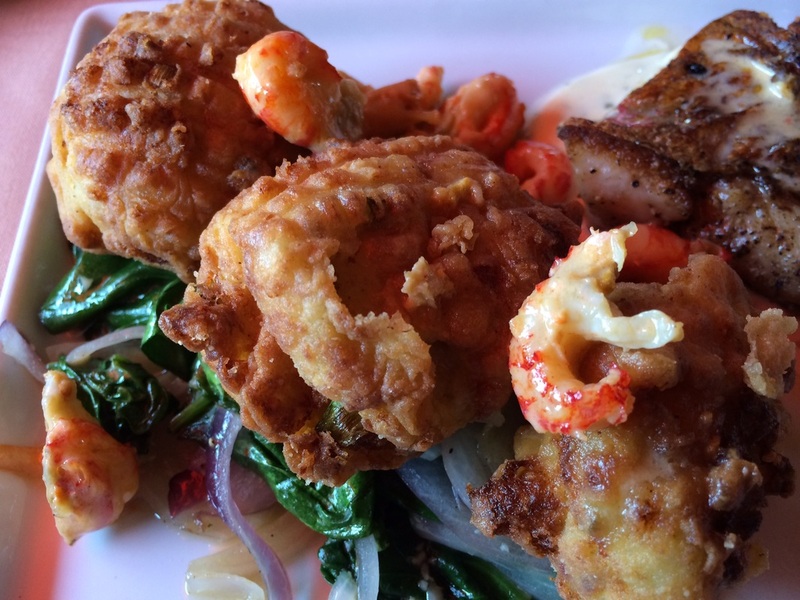 Inside these fried fritters are more giant lumps of Crawfish tails, something that not only holds the fritter together but also provides an amazing gastronomic pleasure. Pan-Seared crawfish with dill beurre blanc.